Meralco offers the first ever prepaid electricity payment system in the country. Recommended for property developers and condominium owners/tenants, this system enables you to save on costs and losses from delinquent accounts, and helps you experience quicker response and resolution from power outages. Meralco’s Prepaid Electricity Service is a special set-up for billing and payment that allows you to pay for your electricity in advance. This is done by purchasing denominations and crediting the amounts to your accounts. The amount available in your account is deducted based on the cost per kWh at the time of consumption, enabling you to manage your own electrical consumption. The service runs on state-of-the-art “intelligent” meters that were initially available only in the United States, Europe, and other parts of Asia. In addition to offering prepaid denominations for as low as Php100, intelligents meter are equipped with a communication device that allows Meralco to detect outages in an instant, allowing faster restoration. 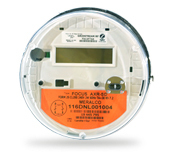 Start enjoying the benefits of prepaid electricity today! To find out if your area is within service coverage, talk to a Relationship Manager today. You may also call the BUSINESS HOTLINE at 16210 or find your relationship manager.